2. 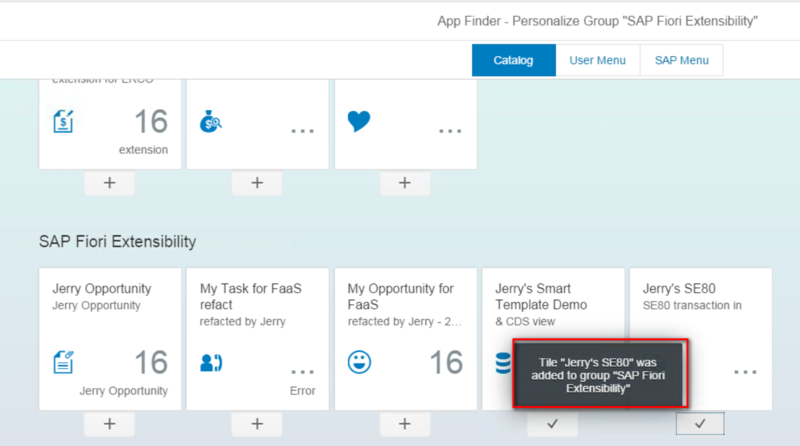 Open Fiori Launchpad Designer, find the catalog found in previous step. Now you should see the new tile in Launchpad. Life saver, Thanks a lot! Great blog ! I did exactly as mentioned in the above, but I get a 404 error as below. Any help would be appreciated. URL call was terminated because the corresponding service is not available. The termination occurred in system with error code 403 and for the reason Forbidden. Choose “Test Service” from context menu. You should see the following UI which indicates the ITS is active in your backend system. Thank you Very much. It worked. But it opens the tcode on the Gateway system and not the ECC. I have added one more part in blog to clarify your question, hope it helps. Thanks for providing a nice blog. I am trying to invoke ECC t.code VA01 from Fiori. I provided all the steps given in this link. Provided System alias also in Catalog. But when i execute the app, it is not invoking VA01 from FLP. Its going to Gateway system screen and showing VA01 does not exist. System alias is correct and is working fine. Do any extra steps need to be taken care to invoke ECC T.Code? Appreciate your inputs on this. thanks for the info. But i tried all the steps and still the tile opens the tcode in the Gateway system and not the backend system ? I any idea why still this may be happening. Were you able to get this resolved? I am facing the same problem. It only opens the Gateway system transaction in spite of the system alias set to the back-end system. Thanks Jerry. But I have already tried that and it doesn’t work. is it possible to start also a Windows sap gui Transaction? If you check https://youtu.be/-WQCyF6z1V4 minute 3:28 you will see it’s indeed possible. I have however problems with the alias and the RFC. It doesn’t seem to find the right RFC and it defaults to the gateway system and not the backend. Did you find any solution this issue so far ? I’d also be interested in any updates. One other important thing is, not to switch from https to http in the line of callings. If your Launchpad is called from https, then stick to https, use also for your tiles/target mapping https, for the Type H connection https, the cloud-connector/destination settings HTTPS, not mixing them! It was the same issue with the LPD_CUST configuration. 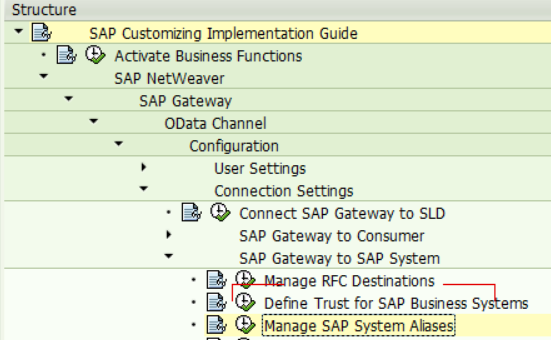 As I can see SAP doesn’t not correct the issue. we have a different issue after maintained this type H RFC destination. We established a trusted connection between Gateway and Business suites(SSO). But it is still prompting to login again with ECC credentials. Do you know how to make this SSO works? Is all your system are in HTTPS ? That’s good question though, our gateway is https and backend ECC is only HTTP. We were able to resolve this as per note #2461900. Now only issue it doesn’t work when i am on public network , it only works in intranet because of this http certificate issues. Do you have any suggestions? 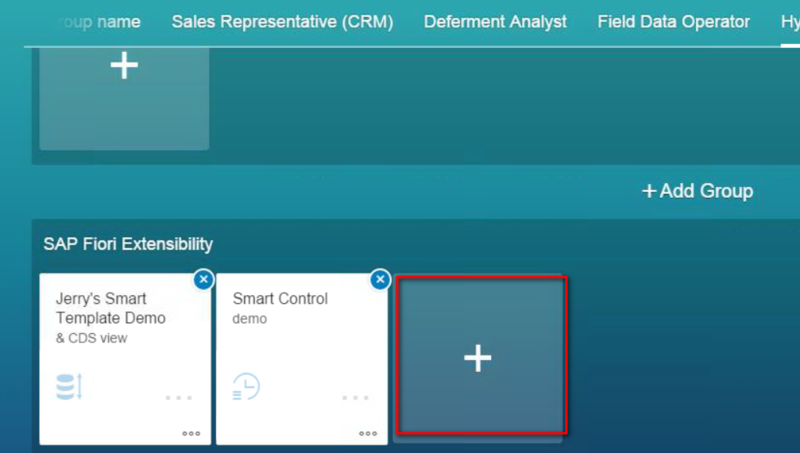 Please note that in S/4HANA you should be using the NWBC service and not the ITS service for this… just look at any of the examples in the delivered tile catalogs. Hi Jocelyn, can you provide examples? Predelivered tiles I have checked all use exact above procedure and format. Sorry for the late post, but have a question. 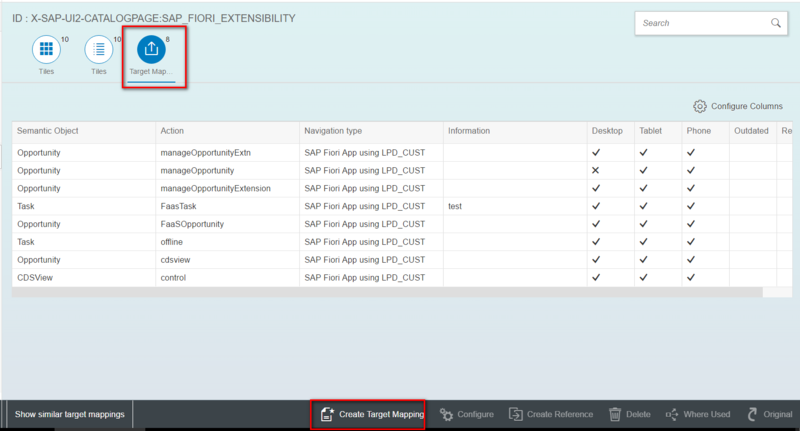 When we proceed with this method or adding transaction through LPD_CUST in Gateway, any GUI transaction opened in the back end has the Fiori “BACK” button. Pressing this button leads to a button that has “SAP EASY ACCESS MENU” which we wish to disable. Do you have any knowledge on how to disable this back button or embed GUI in such a way that the Easy Access Menu is not being presented to the user in these GUI transactions? I suggest you use Screen Personas to achieve that. It will work nicely with FLP as well. Thanks Jerry. This is really worth. I’m facing the same issue, did you find a solution ? 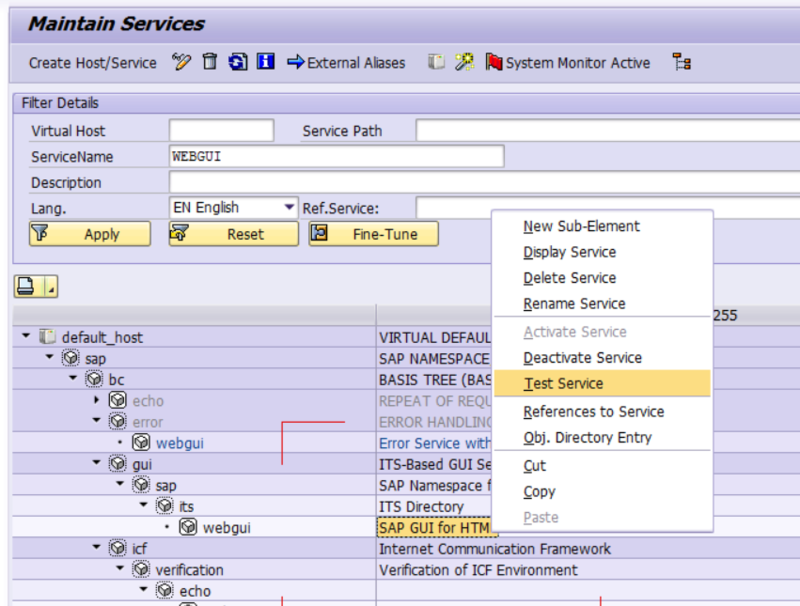 Very interesting blog, but if I want to open gui transaction in my UI5 application. In gui for windows or in gui for html. How to do it better? i did the same thing, but when clicking on “qa32″ tcode from launpad, i am having one error”tcode qa32 unknown”, anything idea on this issue. thank you. 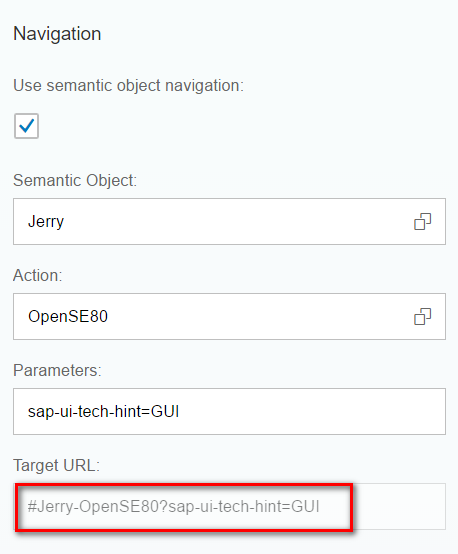 Where and how to configure the action “OpenSE80” of the semantic object “Jerry”? – the WebGUI does not use the Belize theme any more. – how to avoid To open a new browser tab? is there any way to achieve the same using the controller. 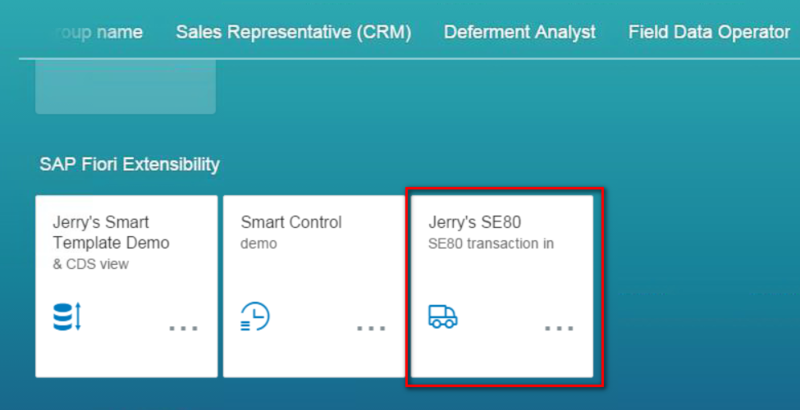 i want to open a sap GUI transaction when i click on some link. can you provide some example here for the same. I solved the Problem for calling the transaction in backend system by changing the system alias to S4CMD. This is the system alias for all standard transactions. But its opening in a new tab.. thats not good !!! Does it also work with Central Hub Deployment ? Nice Blog. I have learned how to create new tile for the existing T-code. thanks a lot. do you have an example how the RFC have to look like? From the Configuration perspective. its possible to start this tile directly header less?